Ahead of World Health Day on Saturday, 7 April 2018, ADHRB highlights the case of Mohamed Ahmed Mohsen. Mohamed is a 23-year-old Bahraini student currently awaiting trial at Dry Dock Detention Center. He was arrested during peaceful protests in Abu Saiba commemorating the 2011 uprisings. On 14 February 2018, riot police officers arrested Mohamed during the protests while using shotguns to disperse the demonstrators. Mohamed was injured in his left leg during his arrest. The officers immediately transferred him to the Ministry of Interior (MoI)’s Qalaa clinic but he did not receive any treatment. On 15 February 2018, the officers transferred him to Budaiya Police Station, where officers informed his family of his arrest and custody at the station. From 16 February 2018 to 18 February 2018, Mohamed was transferred to a hospital because he was suffering from an irregular heartbeat, but he did not receive any treatment other than analgesics, despite requesting the police officers provide him access to proper care. On 18 February 2018, Mohamed was transferred to Dry Dock Detention Center. On 19 February 2018, his family complained to the MoI Ombudsman requesting an urgent visit and proper medical treatment for Mohamed. The Ombudsman agreed to the visit but denied further medical treatment. As a result, Mohamed is still experiencing pain in his leg. In late February, military medical personnel examined him at Dry Dock Detention Center. They informed Mohamed that he needed surgery, which he has yet to receive. On 1 March 2018, he was taken to the Office of Public Prosecution and charged with assaulting an officer. He remains in Dry Dock awaiting trial. The Government of Bahrain’s actions against Mohamed are in violation of multiple obligations to which it is bound under international law. Mohamed’s arrest at a peaceful demonstration violates the right to freedom of assembly enshrined the International Covenant on Civil and Political Rights (Article 21(1)) (ICCPR). Additionally, the Government’s persistent denial of healthcare despite his family’s complaint to local authorities is in violation of the International Covenant on Economic, Social and Cultural Rights (Article 12(1)) (ICESCR). 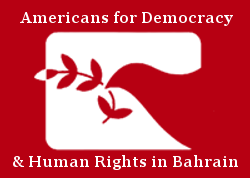 ADHRB calls upon Bahrain to uphold its human rights obligations by stopping recurrent patterns of arrests in violation of the freedom of assembly, and ensuring that this right is protected in line with its obligations under the ICCPR. We also urge the Bahraini authorities to provide Mohamed and all other detainees with necessary and appropriate health care while in detention.